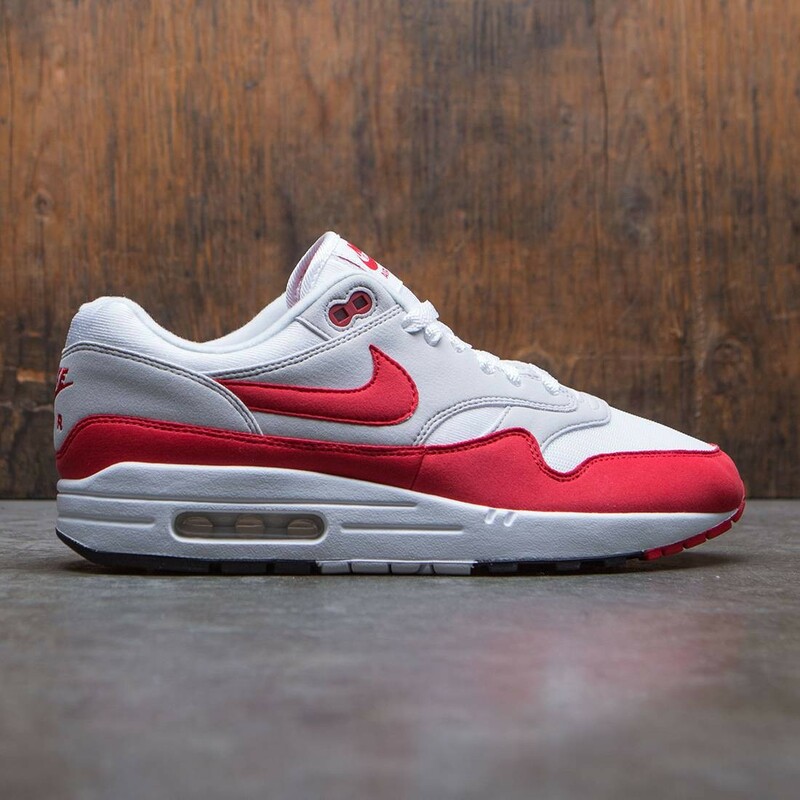 Celebrating 30 years of Air Max, Men's Nike Air Max 1 Anniversary Shoe bursts with heritage style. 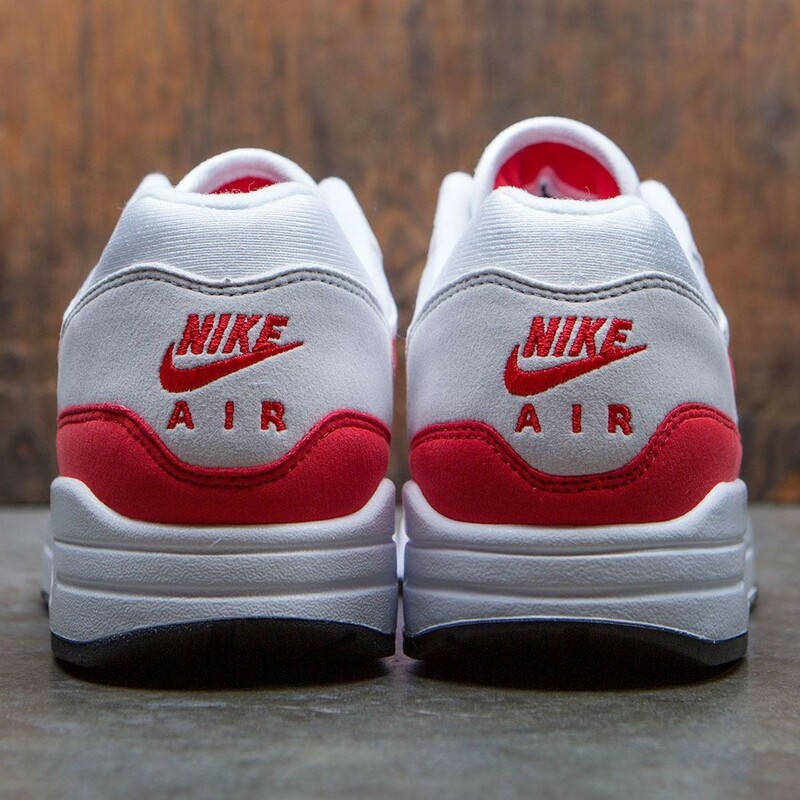 Its iconic, visible Max Air unit helps provide responsive cushioning while the synthetic suede upper delivers elevated style. 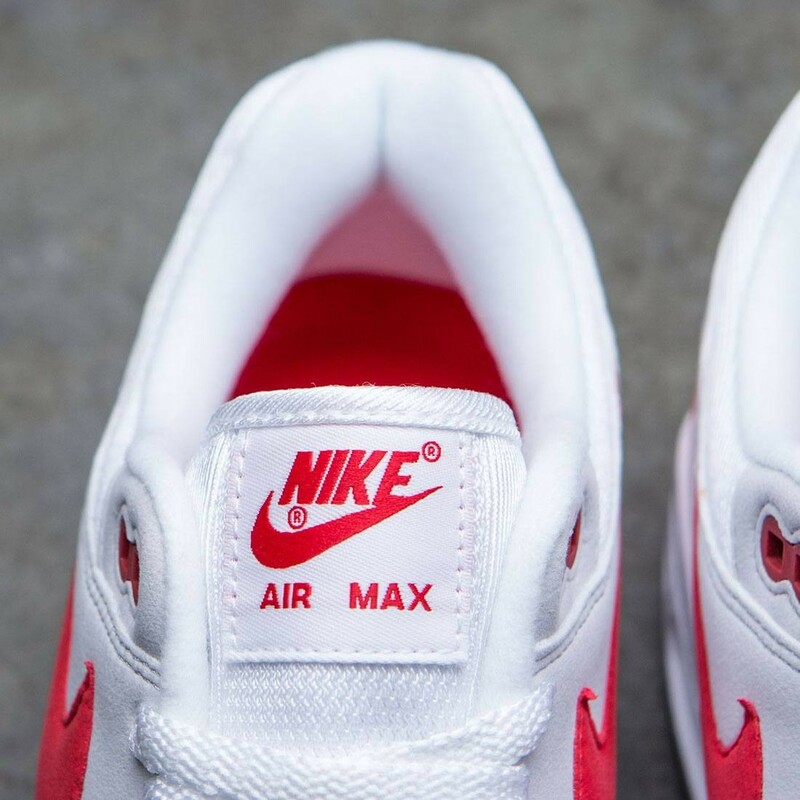 Visible Max Air unit in the heel helps provide responsive cushioning. Synthetic suede upper delivers elevated style. 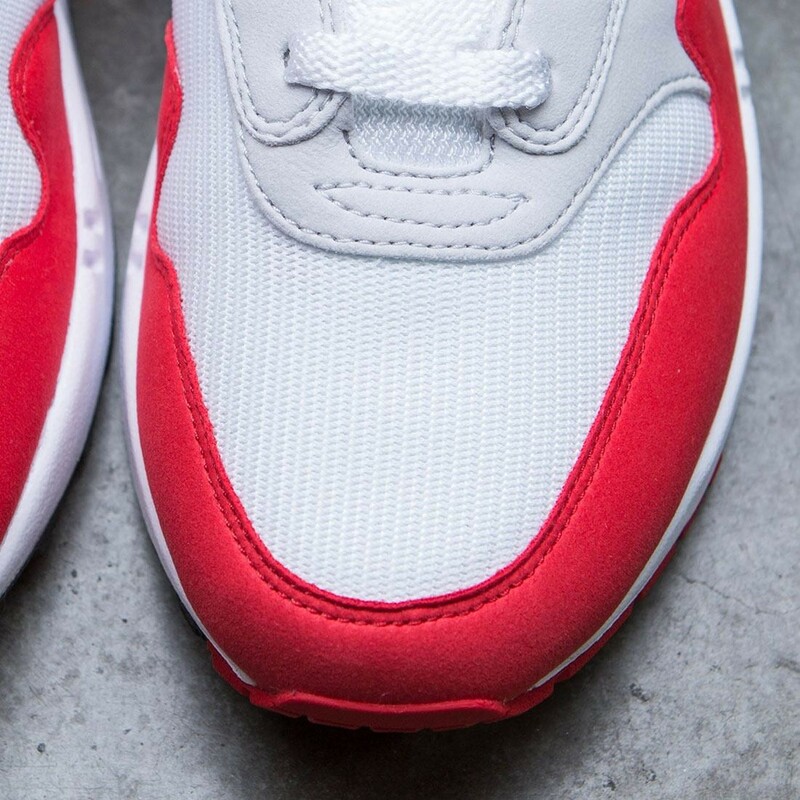 White and university red colorway pays homage to the original shoe. Rubber outsole maximizes traction and durability while still being lightweight.